This summer, U SPORTS tells the stories of former Canadian university student-athletes who continue to find success both in the sports world and in their professional careers. Corinne Swirsky won just about everything there is to win during her time playing women’s hockey at Concordia University in the late 90’s. Three straight Brodrick Trophies for the nation’s top player from 1998 to 2000, two national championships, one Howard Mackie Award for the most outstanding athlete in the CIAU – now known as the U SPORTS BLG Athlete of the Year. So how does her six-year-old daughter Blake like having her as a coach on her team? “She can’t even skate! I can beat her with one leg,” Blake says with confidence. “Yeah, she’s not shy,” says Swirsky. 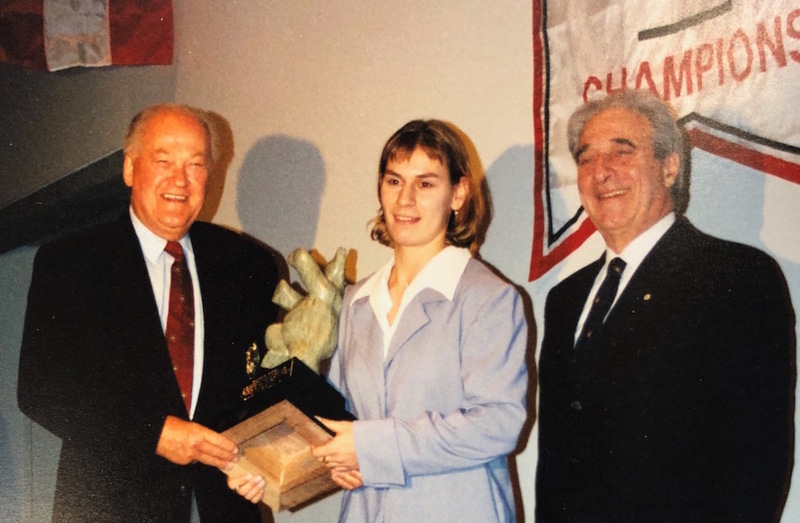 Swirsky first came to Concordia back in 1995 after meeting Lawton during the Canada Games in Grand Prairie, Alta., where she was representing Manitoba. That season with the Stingers, the team went 35-2-4, thanks to Swirsky, as well as other stars including Hockey Hall of Fame inductee Cammi Granato. 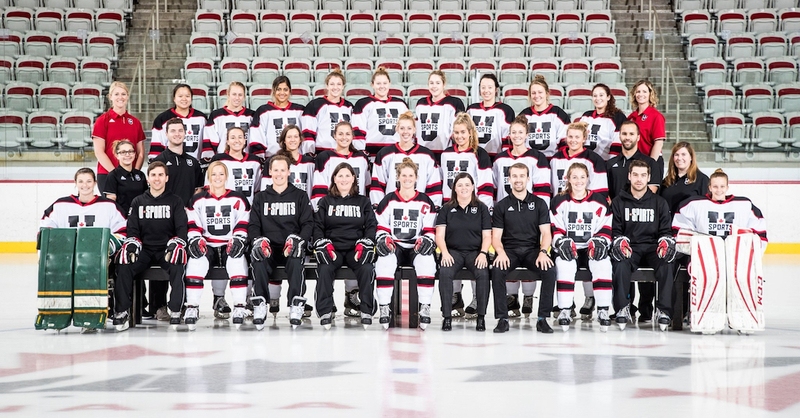 In 1998, the first ever Canadian university women’s hockey championship was held, and the Singers were able to capture the title, as well as defend it the following season. For Swirsky, that first national championship is one of her favourite memories. “When I played, we used to spank McGill like it was a joke…then they got Kim St. Pierre. Then we saw Concordia get beat!" 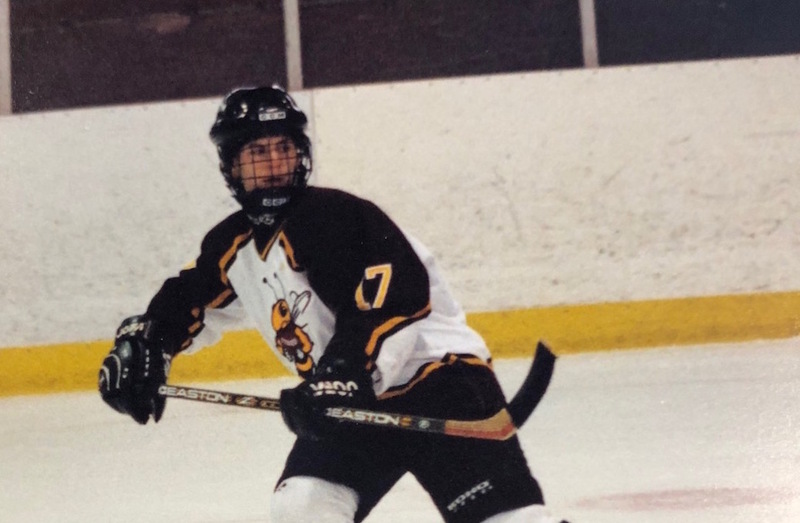 Swirsky and the Stingers might have made it three national championships in a row if they hadn’t lost in a shootout during the semifinals in 2000, a game Swirsky was actually suspended for. After graduating with a B.Sc. in exercise science from Concordia in 2000, Swirsky moved to attend the University of Calgary to complete her Masters’ in kinesiology. During that time, she joined the Calgary Oval X-Treme, a women’s team coached by the legendary Wally Kozak. One of her teammates included Hayley Wickenheiser. During that time, she tried to crack the national team roster, but was always a “bubble player” she says. A couple of years after she finished her education, former X-Treme teammate Samantha Holmes-Domagala decided to start her own women’s team in Strathmore, Alta., called the Rockies. Swirsky was one of the people she asked to come join her. “Swirsky was a great teammate. A quiet leader you could count on every game,” says Holmes-Domagala of her former teammate, who spent a couple of seasons helping grow that team before retiring. Following her time with Rockies, Swirsky began looking for work and a position as a physical training instructor at the Calgary Police Service (CPS) came up. She applied, got the job, and has been there for the last 15 years. Odds are, most police recruits in Calgary in the past 15 years have had Swirsky help them improve their fitness and nutrition during their training. While it wasn’t the path that she was expecting to take, it’s one that she’s more than happy in now. When she finished school, the usual path for kinesiology graduates was to go join a sports team as an athletic therapist. Even her longevity at the CPS has surprised her. Her gig now brings back a lot of memories of playing hockey with teammates that she often calls her “family”. She finds that police classes are a lot like the sports teams she used to play on, and that they will often bond after facing challenges together. She believes that police recruits should have to have played a team sport to be considered. Swirsky and her husband have two kids who both play hockey now. Calgary has been home for over 15 years. 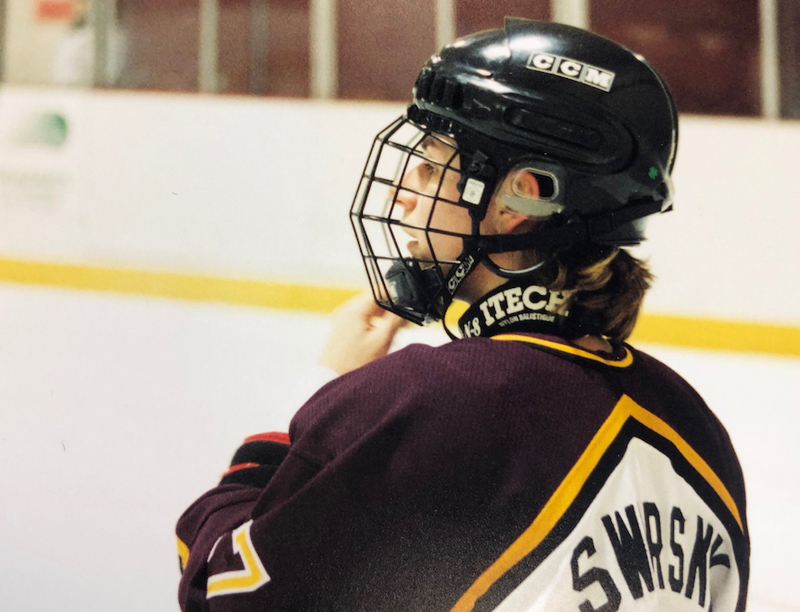 Though she’s just starting to get back into hockey as a coach, Swirsky has been keeping track of the progress that the women’s game has had since her time as a player. Now, in a role that has her drawing back to her time as a player and a student, she looks back on one of the most impressive careers in women’s university hockey, including 66 points in 31 games in 1998. She’s also getting ready to be inducted in the Concordia Hall of Fame for the third time, after first being inducted as a player in 2001 following graduation, as well as a part of the Stingers team from 1995. In September, the 1998 team that brought home the first-ever women’s hockey national championship will be inducted on the 20th anniversary of its victory. “I’ll always remember that first championship,” she says.